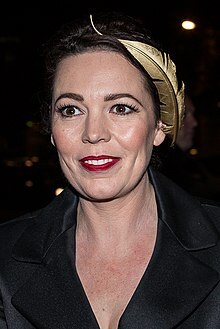 Sarah Caroline Olivia Colman (born 30 Januar 1974) is an Inglis actress. She is the recipient o an Academy Awaird, fower BAFTA Awards, fower British Independent Film Awards an twa Gowden Globe Awairds. This page wis last eeditit on 26 Februar 2019, at 16:27.